I can’t remember the last time I was this scared. I’m scared of going to see my doctor of 10 years tomorrow. I’m scared of going to my pharmacy on Thursday. I’m scared the DEA is going to shut my doctor down or show up at my house! Panic attacks and bouts of anxiety have become the daily norm for me. It’s bad enough I am in severe pain 24/7, now. I’m freaking out all the time. All because I take high dose/high quantity opioid pain meds. Twelve years ago, I injured my back giving birth and since then my condition has gotten much worse and I continue to decline at a steady rate. Luckily, ten years ago, I found my doctor and he has been beyond amazing in treating me. I guess we are even “friends” on some level. He trusts me. I’ve worked hard to build that trust. I MAKE him pull quarterly pharmacy reports on me so he knows he’s my ONLY prescribing doctor. I never ask for my meds early. I’ve always had paperwork to prove any changes I needed and he always knows if I’ve gone to the ER the day of or the following. I am a Model Patient when it comes to my pain meds! I have been on my current regime of meds for about 2+ years now. Not once has he wanted to change them. They are working for me. Yes, they are high doses and large quantities, but I’ve been on opioids for over 10 years and my pain has increased substantially. When you have no cartilage in your lower back and you FEEL AND HEAR your bones grinding together when you walk, it doesn’t feel good! My injury is also very well documented by MRI’s, X-Rays, a failed back surgery, and many, many exams. My new neurologist suggested Physical Therapy! Are you kidding me?!?!?! There’s nothing I can do but manage my pain for the foreseeable future until I can have surgery somehow. But, will I spend that time in utter pain and agony now? Will the rest of the class be punished because one kid acted out? I agree that in SOMETHING cases, opioid meds are being abused and sold and are a problem, but in a situation like mine, they are the only reason I can get out of bed and walk around my house 99% of the time and I may have that severely reduced or taken away because everyone is freaking out and the media is blaring how bad these meds are and now doctors and pharmacists are swinging the pendulum in the extreme opposite way! This is NOT the solution! Where is Common Sense in all this? Where is reason? It makes me angry, it makes me sad, and it makes me scared! I’ve been keeping a Pain Journal since April 1st I plan on giving to my doctor. It’s a daily account of what I go through with my pain, my flare ups, and now living with this stigma and fear. I hope he reads it and gets what I’m saying for myself and his other patients. I may be in pain 24/7 but I am NOT going to sit on my thumbs while all of this cr*p in the pain meds and chronic pain world is going on and do nothing! I will write columns like this. I will join advocacy groups. I will join Facebook groups. I will call my local news stations. I will protest out my State Capitol and pharmacies if I have to! And you should, too! We have medical need for these drugs. We are not criminals. We have rights. We are in pain. We are patients, not addicts. Let’s not be scared, let’s advocate for ourselves and other patients. I have a feeling that I’m in for an interesting ride, and I hope you’ll all join me. Tracy Cabanting is 37 and lives in Reno, NV. She’s been a Chronic Pain Patient for 12 years due to a sever back injury. Now disabled, she writes, cooks, knits and crochets, and does woodburnings to stay sane and get through the daily pain. She plans on advocating for Chronic Pain Patients and their rights. To “AddictionMyth”…. Great idea, however if “we people” could physically demonstrate on the street, none of this would be as much of an issue! That is part of the biggest area of concern, most of us aren’t physically able to pursue active involvement on a regular basis,,due to pain limits. Our help and participation is at best sporadic, and at its worse absent entirely. 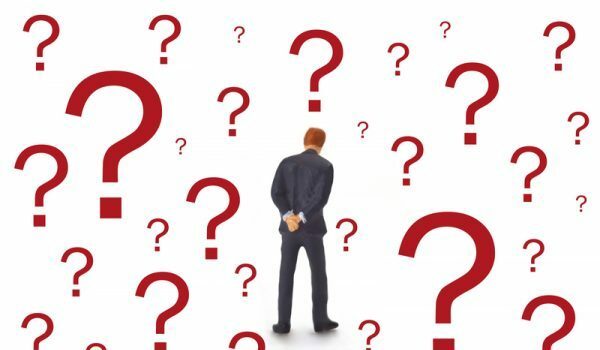 Most family members and those who aren’t experiencing these conditions, don’t understand the problems….or don’t feel we “should” have a problem if we just tried harder, or were more able to tolerate our pain. Therefore the good idea you have goes undone! You people seriously need to be demonstrating on the street. Yes I hear you. A doctor told me that doctors use to want to be doctors because they wanted to help people with pain and suffering. He said now it’s all about money how many times they can refer you and keep you coming back. He said many have left the field. He said this is what we have to look forward to. So we have many uncaring doctors. It really makes South America start to look good for health care..who would of thought…..? This is a nightmare I lived for many year’s myself. I got so tired of still being sick and tired even on the strong opiate’s I had been prescribed for almost 30 years I quit then ALL. Yes, it was horrid and I thought I would die as I laid on my bathroom floor and suffered withdrawals for a week… (I don’t recommend it). Then I discovered Kratom. An herbal remedy used for hundreds of years native to Indonesia. It’s a tree in the coffee family. At the time I truly wanted to die, I spent most of my life in bed, unable to do much of anything. Kratom gave me my life back 2 year’s ago. I’m still amazed at how wonderful it works, with little to no side affects. My pain level never got below a 7 even on Opana and Fentanyl. (I was too “high” tho to really care honestly) Kratom works so much better, with out the head changes. Now my pain is 0-2 on most days, as long as I take my herbal medication. Freedom from the nightmare of someone else being in charge of our pain management. It has been a true Godsend for me and thousand’s of others struggling with chronic pain, depression and anxiety. It even helps with withdrawal from other drugs, prescribed or other. Can’t use my name. I live in a small town in Florida, and my husband would lose most of his business if it were found out that his wife is a chronic pain patient who was an “addict”! I have been weaning myself off of pain meds, (stable for 21 years), very slowly over the last 1 1/2 years. I am doing less and less work at home, but I have been successful in lowering my dosage way down. I no longer cook dinner for my husband, I no longer go food shopping, and I no longer sleep through the night. Sleep had always been a problem due to pain, but now I’m exhausted from waking up so many times a night from pain! I also have become an extremely light sleeper, so every time my husband moves, a dog or a cat walk around, I wake up hoping that it has to be morning, because the pain is so bad! My doctor gave me benzodiazapines and told me that it was imperative that I take them every night. I also have been taking one very infrequently through the years for panic attacks which I try and control (mostly successful) through breathing. He told me that my cortisol levels are constantly being raised by the stress of lack of sleep, and the pain that I deal with constantly. Now I have just been told by the pain clinic, the same ones who gave me these medications, that I have to make a choice. They told me that I will “die” according to the CDC if I continue to take these medications in tandem. Wow, choose between a little sleep and or more pain. I have never failed a urine screening, and actually was lectured by my doctor on how important it is to take the medications, especially because of my horrible sleep. I can’t drive after 2:00PM, for fear of falling asleep at the wheel, that is how tired I am. I had a sleep study a few years back, and the report said that I had the worst case of alpha intrusion that they had ever seen. When I asked what that meant, they told me that the pain was so bad, it interfered with my sleep, and I was essentially “dosing” most of the night. The pain keeps me from getting a good night’s sleep. What am I going to do? I refuse to take antidepressants, as they cause extreme weight gain, and thus more pain. There is no discussion. This is an across the board mandate, regardless of anyone’s circumstances. This is NO LIFE! Absolutely! I have an appointment this week with my Pain Specialists. (At least that’s what his title stayed anyway.) After a horrible month of just existing having been cut down by more than half (in just 3 months!) From my regular doses (for 8 years with functionality) with no other reason given than the CDC recommendations …. Absolutely I’m scared! Cause, what’s next? I’m not heard by this doctor and I’m completely dismissed with any of my concerns. They are always downplayed now… Even though I have 10+ years of documentation, MRI, CT SCAN, clean UAs and other test results backing up my diseases and their symptoms, I’m still being ignored by this doctor. And to start over in the midst of all this controversy seems to also be a bad idea! I mean, how much more can one take!? This isn’t right!!! I/we feel like we don’t matter at all. Like we are now seen as scum of the earth. How did we get here? Moreover, how on earth is this legal!? I personally feel completely uncared for and like I’m someone they just want to make shut up and go away….die even. And in spirit? That’s already happening. I’ve always been an active and vocal advocate for what’s right. Now, I just feel like everything is so wrong with this country and our government that I’m losing faith in everything. I just don’t understand how some of these decision makers are able to sleep at night. I’m with you Tracy, I’m doing all I can to be heard. But it sure is a scary and stressful situation to be in! It’s way more than many of us can even handle, coupled with our diseases, chronic pain, fatigue and stress…yes…It’s way more than most could ever handle. I’m scared and stay that way !!! I know I’m not alone with this fear. It’s every month for many of us. Is this the month I leave the doctors office empty handed or nearly so? Is this month going to be another one where the personnel at the pharmacy decided to sink to new levels of name calling? I’ve even been told that opiates don’t help my pain. Really? Ask me and I’ll tell you that opiates are the only reason I’ve been able to function even at a low level for the past nine years, before that I just suffered. Of course most of us have the documentation to support whatever ails us, I have over 16 years of records, but that doesn’t seem to matter anymore. Please add more anxiety to my life, it’s so helpful with managing my pain !! I believe we can stop this if all 100 million of us and our caregivers contact our Congresspeople. And not just an email – an appointment. And then follow-up again and again. As someone said above, tell them that we will publicize their treatment of pain patients and volunteer to get someone else elected. The staff in my Represenative’s office had no idea how this was affecting pain patients…. Although if it turns out that Prince OD’d on prescription opioids, there’s probably nothing we can do. That’s where the media’s focus is…. I am so sorry Tracy – I wish this wasn’t happening. I’ve been a pain patient before that was a thing. I’ve been in opioid therapy effectively over 17 years. I too am high dose, my doctors however day given my issues I’m a relatively low dose. My doctor is lowering every one of his patients doses due to the new cdc guidelines but adding marijuana for any patient who wants to try. When my leukemia becomes acute again instead of it’s chronic state, I can go back if necessary since cancer pain is somehow legitimate while non cancer pain is somehow immoral according to the CDC. Be very certain most of your doctors are being forced to do similar things. Thank you for your brilliant summation. When pain patients stand up and make their voices heard, the cultural shift can happen. Have your doctor obtain a DNA test for opiate metabolism. This will quite likely show you are a rapid or ultra rapid metabolizer of opiates. There are many on the market, I most recently used X-gene for many of my patients who were unable to wean off opiates using Mmj. Thank you for adding your passionate voice. In Montana, the abandoned pain patients are vigorously lobbying for a Pain Patients Bill of Rights, model on the one in use in California. Best wishes on your return to good health! Tracy, thank you for sharing what most of us feel daily. I live with the same fears and it is wrong. One thing we have to do is acknowledge that medication works. When I complete the monthly check in pain scale at the pain doctor, I am honest that I am not in much pain with the medication. Doctors are more apt to throw their hands up at a patient who comes in complaining nothing works so if that is the case the doctor feels he may as well cut the patient off because the opioids don’t work anyways. We as patients need to be on the lowest amount and not walk in month after moth year after year saying we need more and more if we can get by on the minimum. I am on children’s doses and am ok with this. I am terrified to go higher which would then make me more reliant on my doctor who could get shut down or just cut me off. I can’t live like that. Unfortunately that is our reality. Ok they say 100 million have chronic pain, not sure where this number came from, but however many of them that are out there we néed to write your congressman ask them where they stand on this issue. Tell them you will post it on line and also ask that people foo not vote for them. This is the year to do this. Please help do this and ask others. Post findings here. Act don’t just talk about it. I’m so sorry you are having to go through this “recovery” as your story sounds way too familiar to me. I too have traveled down the same road as you. I had a 3 level lumbar spinal fusion (L3-S1) in ’02 then sn ALIF in ’06. I too was on narcotic pain meds for almost 8 years, and much like you my doseage was high. I peaked out at 600mgs of morphine per day and I too needed that just to have a life. Never give up and I’m with you 100%, we need these narcotic pain relievers for chronic pain regardless of people who “study” chronic conditions, but never live even one day with our pain. Hang in there, medical technology improves everyday. Just two weeks ago I had a spinal stimulator put in along my spine and the reduction in pain has been drastic. I honestly can’t believe how well this is working and I was worried that if I overused it, the device would stop working…but each day I feel better than the the previous day. Hopefully a spinal stimulator will give you pain reduction as well. Never give up, one day there will be a better solution. Tracy….I wish I could say I think our stories will help, or our need for medication would somehow make sense to those denying appropriate care and all this will be resolved. But I believe the truth is its going to be a long uphill battle with many causalities on our side and few, if any, of theirs! Our stories will be labeled “catastrophizing” the new non-word used when speaking of the “psychology” of pain! Our need for medication is already labeled addiction…and therefore our voices are seen like those of addicts clamoring for their fix. And the deaths from too rapid cessation of opioids resulting in strokes and heart failure have already started, along with the suicides. What have our oppoments suffered? Well, our president awarded more than a billion dollars to help with addiction so the CDC ‘s friends running rehab clinics across the country and pharmacies touting the “new” “non addictive” pain medication alternative…which is neither new nor a real pain med (since the effect is suppressed by the component naloxone used to treat withdrawal! )…these guys are most likely jumping for joy, and oh yes, profiting too!! Our advocacy groups work hard but appear unresponsive to new ideas and the old methods aren’t working! So we each clearly would be smart to work on our own survival and coping skills, and find healthy family members and friends who will advocate for us and hold up our needs. This site is useful for giving words of encouragement to others or just letting them know they are not alone. I’m not sure where else our comments go from here, but they don’t seem to be responded to or have the questions answered. So using this site to truly impact our situation seems unlikely. Your story is like so many whose treatment is unfair and unwarranted, plus not medically sound. I’m so very sorry this has been what’s happened to you and I hope you find what you need and people to listen and care and treat you with respect. That’s all any of us want and need. It just seems to be at a premium these days, due to compassion being in short supply I imagine! And the incentive of money has become a replacement for appropriate medical care for those with life-limiting diseases and injuries chacterized by daily pain! I truly pray God is bigger than the CDC! And all these other groups who are drowning out our voices for their own gain! People in pain should not fear government nor their providers. Its a sin to be silent when we should protest, as Lincoln wrote. We will all half to speak out about a government that has become tyrannical and treats us as serfs without rights. Everything we do to speak up matters. We can sign petitions-http://petitions.moveon.org/sign/cdc-withdraw-guideline?source=s.fwd&r_by=14845029. We can write legislators and make phone calls. I sent a banner today to Senator Schumers staff Joseph Nehme in his Syracuse office- it reads ” Democtracy Matters, People in Pain MAtter”. If all people in pain and all who care about them are active- we can restore some democracy and dignity to pain care. I, too, think about what would happen if I were not able to get my pain medications. My quality of life is greatly increased with the medications I am on and, like Tracy, I have worked hard with my doctor to get where I am. I, too, am a model patient. Recently, I had to move to where my Mother lives, she is elderly and her health is declining. For the moment, I have a doctor here willing to continue my medications as they have been being prescribed. If she retires though I know of no other doctors here who would treat me. My Mom is in pain constantly and has found no relief, she has severe degenerative disc disease and osteoarthritis, and the pain meds she has tried have not helped her. I am now in a medical marijuana state and the doctor here wants me to try it. She says some of her patients have been able to reduce or stop many of their meds once they are using the medical marijuana. Am I SICK of pill botttles? Yes, definitely. I have been juggling pill bottles since I got sick in 2001. I do not think marijuana cures everything. And, if I do try the marijuana and can stop the meds I am on what happens if the severe pain comes back in a few months or a few years? Is it better to stay with what I know works or take a chance on an unknown? I fear that pain because it led me to contemplate suicide and no one should ever kill themselves when opiates will alleviate the severe pain that leads some of us to contemplate it. I’ve read that the number one killer of people with Fibromyalgia is suicide. If that is true, it is a sorry statement about our medical system. I also take opiates 24\7 and have been since 2001. Also have been afraid the gov. Would not let us have them anymore and I do not know what I would do for pain. 83 yrs old with deterioration in back. I don’t care at this age if I do have an addiction fot it and know I would never try to get anyway them illegally. Actually what I take is not enough but afraid to ask for more.can’t stand thought of being denied. I have had chronic pain for 24 years. I do not get disability because when I was diagnosed with Fibromyalgia they told me it was curable. I went through pain programs and everything else I could think of without going on opioids. I was a Paramedic at 19, had my BSN BY 26. Helping my husband with med school I worked 3 jobs. After I had my youngest child in 1994 I started my masters as I could only work PRN. I started feeling very ill and like my brain was unplugged. I was hospitalized and found to have Addison’s disease. I was told then I could no longer work as a Emergency dept. RN. I LOVED MY CAREER! I am terrified with the stuff that is coming out of the CDC. I too am a chronic pain patient that is terrified of losing my meds. We would like to retire early to Florida, but with all my research and research coming from a closed Pain site. I am not a junkie. 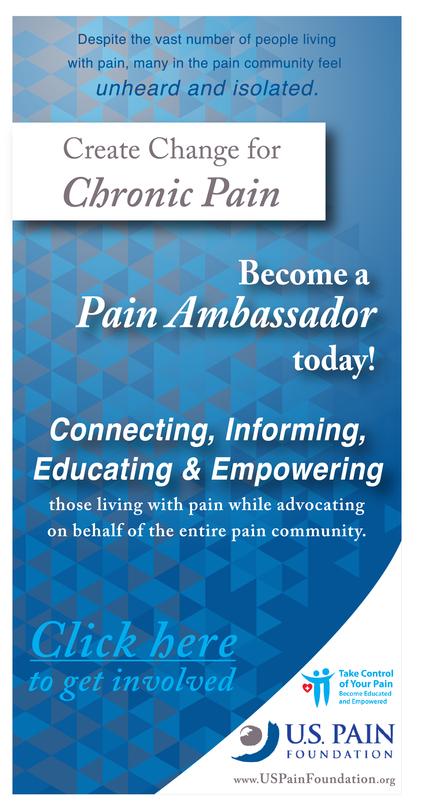 I am a CHRONIC PAIN PATIENT! The side effects from overdosing are similar to having severe chronic pain untreated. Pre-mature dementia, osteo arthritis, diabetes insulin controlled. I used to be a athlete, equestrian, and now I am terrified of losing what gives me any quality of life. I cannot get medical disability since there is a law written when I was two stating I would have had to apply within 5 years and my Hard working doctor husband makes more than $40,000 per year. I made more than that my first year nursing. I hurt, I am frightened, and I am being put in the junkie area. It is nice to know that I am not alone. Feel all of your pain and feeling scared. Thanks, Tracy, for speaking up! Yes, we’re all scared because these new rules are totally going overboard! I am working to find the statistics so that we can compare apples to apples (ex: 800,000 Oregonians in chronic pain vs. 500 ODs from opioids (which includes heroin) – twenty percent vs. an eightieth of one percent) – we need to keep ASKING FOR THE NUMBERS! I don’t think the numbers pencil out at all! We need to gather data on how many are being hurt vs. how many are supposedly helped by the new rules. We need to find one place (here?) to document our obstacles to good healthcare. And we need to encourage media to pick up the coverage of our suffering, not just the families of the addicted (whom I feel very sorry for; I’ve worked with them; it’s tragic – but that’s not the point). 71 years old, severe osteoarthritis (particularly right shoulder, hands and both knees), 2 foot surgeries and 4 invasive spine/nerve procedures in the past 2 years, compressed nerve in neck, current patient of 3 orthopaedic specialists as well as a great primary physician, practice meditation and relaxation daily…low doses (as needed only) of hydrocodon allow me to accomplish basic daily tasks – light housework and self-care. I’ve always been very cautious of using pain meds, but – at my physical condition and age – I could’t function without pain relief. I stayed quiet for so long because I was scared if I spoke up, I would draw attention to myself and my meds would be taken away! Well, we are in the spotlight regardless! We need to start doing whatever we cab locally as each state is different and on a Federal level. I’m still learning and will share all I learn so we can take action! Hang in there and feel better! I am also horrified that my quality of life will end if my pain medications are suddenly denied. I was diagnosed with Lymes too late to heal it. Have Fibromyalgia, arthritis, migraines and bursitis. Constant pain. I am not a drug seeker. Don’t want to stay high. Want to have a life with my husband and function instead of laying in bed 24 hours a day in pain. I want to know how we can fight what is happening. Why do the innocent have to pay because others choose to abuse drugs or worse. There must be a way we can stand together. The first doctor that dared test me for Lymes and treated me when I tested positive was threatened with his license if he continued to treat Lymes patients. That was many years ago. I finally have a “formula” that really helps me. I have been with this pain clinic for a long time. I got my last prescription for one of my medications at my last visit. The clinic is not allowed to prescribe it any longer. Was only to help as a migraine prevention and for panic attacks. What is coming next?!?! Thanks for sharing, Tracy! 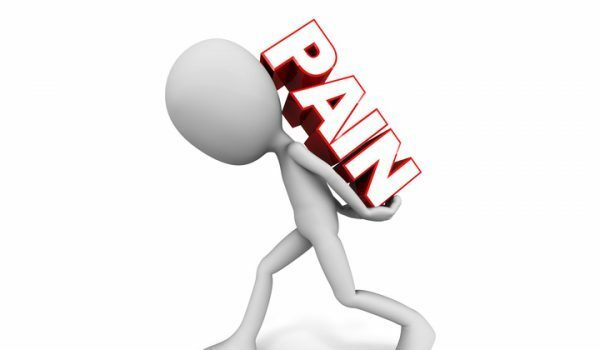 100 million Americans experience chronic pain. If we stopped feeling ashamed of it and started demanding reasonable accommodation of our disability, we’ve got the voting strength to vote out every politician who refuses to learn from us. But the starting point, is that we must practice giving our pain a voice. If you’d like to help teach other patients to do that effectively, the #GivePainAVoice campaign is seeking volunteers to help us teach that skill. You can find us on Facebook and Twitter. Hugs to you! you are actually blessed to find a compassionate doctor…I know this is a scary time we will get through this and we will prevail! I have been with the same trusting pain doctor for years about 9 on and off and I am on just norco 5’s stuck on my couch with a heating pad…my caseworker went with me and pleaded him to raise me to norco 7’s to get me functioning..he said no…he said I was 45 years young and to young to start raising..he works in a suboxone clinic 2 days a week and says he sees too much addiction! okay……………. so after the CDC came out with their new guidelines I got my first pee test ever! okay ….that does not bother me..I do not abuse my meds or take any street drugs…so pee pee take my pee I will not eat a poppy seed lol…..oh jeez really!!! I have been fighting for my disease and pain needed for it , I have a petition on change.org for interstitial cystitis you can look it up and sign if you like I am Kris from Kentucky …. So we will fight and we will not give up!! I feel the same way Tracy. I have 2 neuromuscular diseases, migraines and rheumatoid arthritis. Also psoriasis on bottom of my feet. A certain tv personality doctor is really jumping on this non opioid bandwagon. I follow all the rules as you do, but still feel like a criminal. I am joining organizations and hope to help in a small way. Me to I’m so worried about going back to the Dr . I’m so worried about this. It’s driving me crazy we will see .